Prime Minister Charles Michel’s coalition collapsed because it signed the United Nations agreement that has become a cause celebre for anti-immigrant politicians. The document is known as the “Global Compact for Safe, Orderly and Regular Migration.” The U.S. and a number of other countries, most of them in central and eastern Europe, have refused to sign this agreement. The Flemish nationalist party was the only one against signing this accord. Although this is not a binding contract, it was still a sore point. Some will argue that Michel failed because he couldn’t gain the trust of the opposition as it had to do with what his focus will be from now until the next elections. The anti-immigration groups made false claims about the agreement stating that criticism of migration would become illegal, while it would force countries to recognize all migrants as refugees. It was argued that this would impinge their sovereignty by imposing uniform migration policies. There is no question that the UN is imposing its opinion upon the world. However, it would not by itself create any crimes. That would be up to each nation. 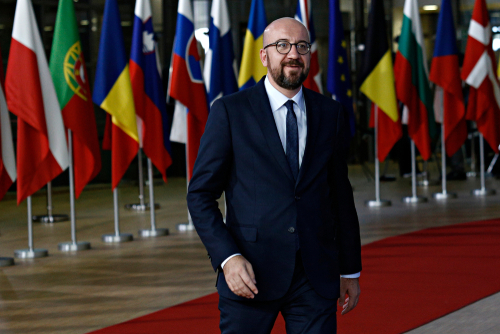 Still, Charles Michel lost the backing of the nationalist New Flemish Alliance (N-VA) over his support for a UN migration deal signed in Marrakesh. The other parties were pro-UN agreement. (see also BBC).